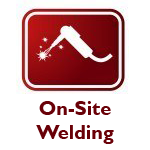 Save your business time and money with on-site welding! 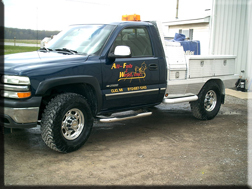 We get the repairs done right for oil companies, boat owners, manufacturers, heavy equipment operators, construction concerns, classic car enthusiasts and everyone in between! All-Fab Weld puts the needs of the customers first. We can do this because we’re a nimble yet professional family-owned company with eighteen years of experience in serving the welding needs of various industries. This means we can offer you the peace of mind that comes with knowing that your welding job will be treated with respect and done with the utmost craftsmanship. We take true pride in our work and are not satisfied with “good enough,” and our attentiveness to our customer’s needs and desires is second-to-none. 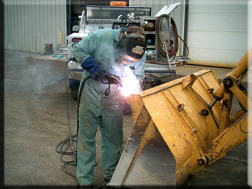 Our welding repair service is ready to tackle any job, regardless of the age, condition, or model of your machinery. 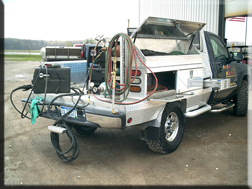 Our welding technicians are extensively trained and our work is top notch so you won’t have a thing to worry about when you call us. In addition, our pricing is some of the most competitive around. We couple this with a rock-solid 100% guarantee: if you’re not satisfied, you don’t pay. This means there’s absolutely no risk in using us for all of your welding needs. In addition to our premier welding services, we offer top notch Boss snow plows for sale at our North Dakota location. We offer brand new snow plows as well as used snow plows. So don’t pay more while settling for less. Call All-Fab Weld today and experience the All-Fab Weld advantage for yourself!